Ellie McSnelly and Carrie O'Toole were running and laughing-their first day of school was today And they wondered just what was in store. Would this be a good year? Would school be a bore? Everyone remembers feeling excited and nervous each fall on the first day of school. It's no different for Ellie McSnelly and Carrie O'Toole. But this year, there's not only a new teacher to meet, but a brand new kid as well. Lazlo S. Gasky doesn't look or speak quite like the other kids, and no one is sure what to make of him. In fact, they respond to his arrival at Brookhaven School by taunting and teasing him. But when Ellie realizes how tough it is for Lazlo, she reaches out, and after school one day they share an afternoon of soccer, strudel, and chess. Besides making a new friend, she and Lazlo teach their classmates an important lesson-one that isn't in their schoolbooks-about accepting people who are different...and in getting to know Lazlo, the kids learn that people aren't that different from each other after all. 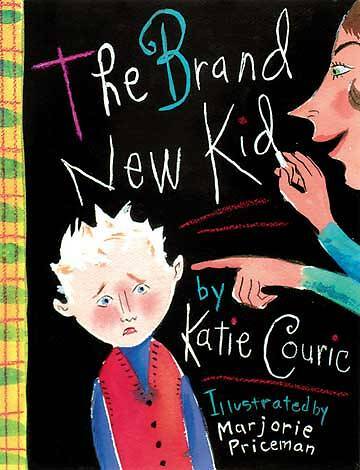 From one of America's most respected journalists, The Brand New Kid is a heartwarming story about tolerance and the need to give others a chance that will entertain and inspire children and adults alike.